Where Will Jay Leno End Up When His ‘Tonight Show’ Contract Expires? Jay Leno has been the host of NBC’s The Tonight Show for over twenty years (nearly consecutively), but soon, he will be moving on from the position. 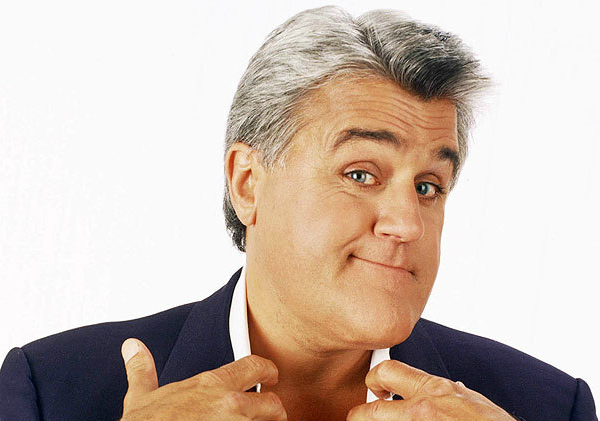 After starting the gig in 1992, Leno went on to dominate late night for years up until September 2009 when he was released from the show and signed on for a new show, The Jay Leno Show. The new series was scheduled to air at 10:00 p.m. on weeknights, much earlier than his 11:30 p.m. spot with The Tonight Show. After just four months, The Jay Leno Show was canceled and Leno returned to The Tonight Show as host, bumping comedian Conan O’Brien, who had taken his place, back to his spot at 12:30 a.m. But soon, Leno will once again be saying goodbye, and this time, it is for good. In April 2013, NBC made the official announcement that Leno would be leaving NBC in 2014 to make room for Jimmy Fallon, who would move the show back to its original location in New York City. With the end of Leno’s time at the helm, fans everywhere are wondering where the host will end up. Will he join another network and attempt to relaunch The Jay Leno Show? Will he take his show on the road? Could he write a book? The options are endless for Leno, but with his time at NBC coming to a close, it makes sense that he would get something lined up as soon as possible in order to fulfill the wishes of his fan base and keep them interested. One possible move for Leno is a talk show on CNN. According to The Hollywood Reporter, Leno has been approached by Jeff Zucker, who would love to have Leno come aboard CNN for a new show this spring. Although Leno certainly has a great selection of opportunities in front of him, reports claim that the 63-year-old comedian has decided to focus solely on his gig with NBC until the very end, at which point he will decide his next move. Leno’s last episode of The Tonight Show will air on February 6th.